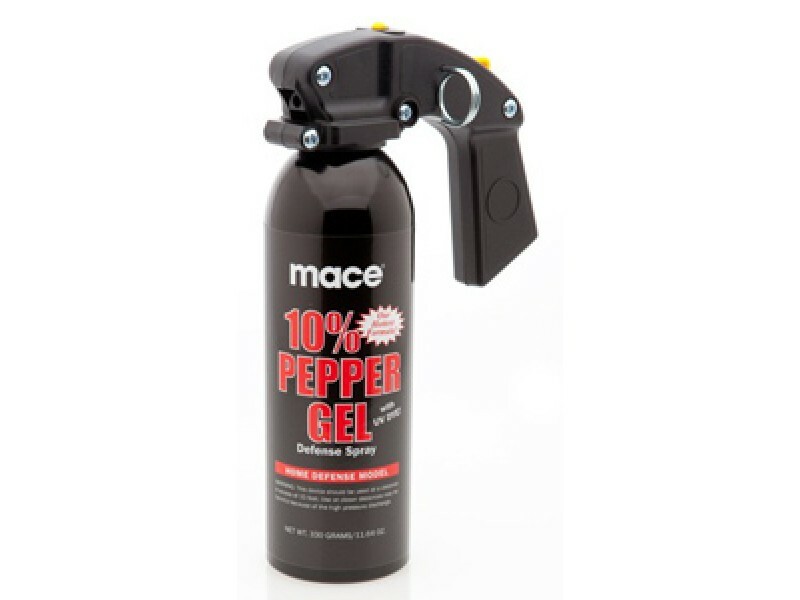 Buy Mace Pepper Gel Home Defense , from for $41.49 only in My e-commerce. 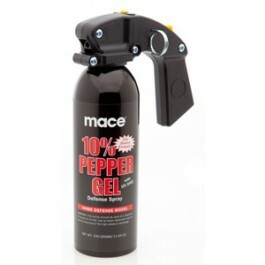 The Mace Pepper Gel Home defense contains 330 grams and empties in 6 seconds, with an effective range of up to 25 feet. This model features a pistol grip handle with safety pin that prevents accidental discharge. The thick gel sticks to the assailant, delivering a strong dose of OC pepper. When hit in the face, the sticky gel will temporarily “blindfold” them. And upon direct contact with eyes, respiratory system and mucous membranes, the active ingredients in the pepper gel will cause eyes to slam shut, coughing, and an intense burning sensation to the skin. Effects should lessen in approximately 45 minutes. Strong Irritant. Keep out of reach of children. Contents under pressure. Do not puncture or incinerate. Upon exposure, follow the first aid instructions that were included with your pepper spray. Store your Pepper Spray in cool dry area away from heat, flame or strong light. Use with adequate ventilation. Do not store it in an environment where the temperature may exceed 120 degrees F (50 degrees C) such as an enclosed vehicle. The Pepper Spray cartridge may leak from over pressurization and fail to function properly. Do not store unit in a cold environment under 32 degrees F (0 degrees C). This may cause depressurization and the loss of effective range. Pepper spray has a shelf life of 4 years from date of manufacture. Each pepper spray unit is labeled with an expiration date. After this date, the pepper spray cartridge should be disposed of in accordance with the environmental regulations in your area.